I love to work with experienced professionals. It makes all the difference for a smooth flowing, hassle-free celebration. And a great photographer ranks right beside great entertainment for a successful event. Anybody is capable of taking a good picture. All of us take a good picture occasionally, especially now that everyone has camera phones. As an old cowboy friend says, “A blind hog will stumble on an acorn from time to time.” A professional photographer should always get good pictures, never missing a shot. But a truly great photographer needs to go beyond mere technical proficiency. After working with lots of them for nearly 35 years, I have found the top photographers have two special traits: First, an artistic “eye” for the great shot, but perhaps more important is a pleasant demeanor with a fun personality, who is enjoyable to work with. Style is really secondary. An experienced professional can adjust the style to your preference. The answer is ALL the difference in the world! I have worked with a few “Nazi” photographers who were so unpleasant, people would hide to avoid having their picture taken! I have done weddings where the Bride sent the photographer home early, because they were upsetting her guests. I have seen photographers start fights with wedding coordinators. The nightmare scenario is the photographer who disappears after the event, along with your memories. I had this happen with a client 4 years ago, who used a “friend of a friend” that looked professional, but turned out, to her horror, to be a crook. Great Photographers are not costly, they are Valuable! With this Blog post, I would like to kick off a tradition of recognizing my fellow vendors who are truly outstanding at their craft. 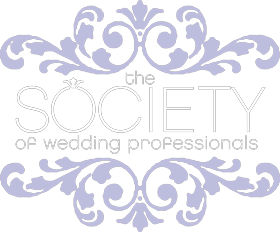 Sort of a “Party Machine Seal of Approval” for wedding and event professionals. Drumroll, please! And the winner is: Kristin Greenlee! Bookmark her website and “friend” her on Facebook. There is a link to her Blog that I heartily recommend for both good reading, and seeing some mighty impressive images. Better still, call her at 817-683-6838. Great photographers tend to get booked quickly for the most popular dates. 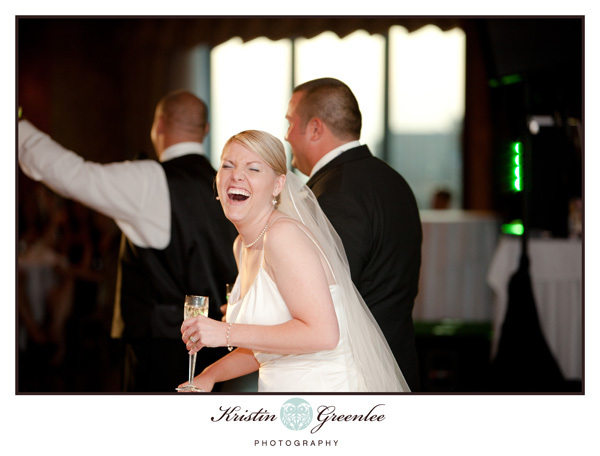 I had the privilege of working with Kristin last year for a wedding at the Petroleum Club of Fort Worth. It was a joyous, fun-filled celebration, with some specially planned Party Machine “showbiz” moments for their Grand Entrance and their spotlight dances. Groom Jeff was a Texas Aggie, and bride Katy graduated from Texas Tech. Jeff is a football coach and they are both big sports fans, so we played up the rivalry to create some memorable moments. 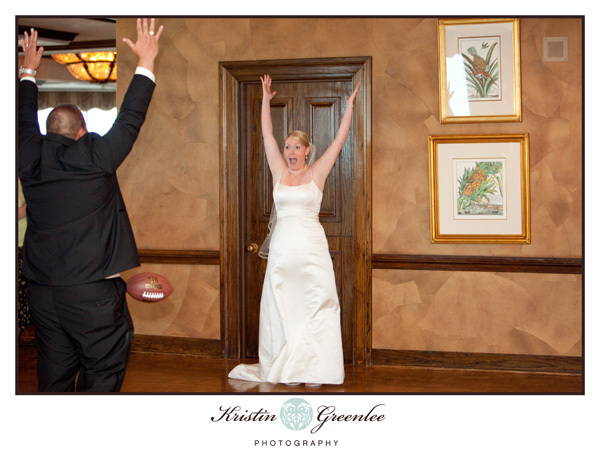 Katy and Jeff made their Grand Entrance with NFL theme music, passed the football, and did a Touchdown Celebration! Perhaps my favorite moments at Jeff and Katy’s wedding came about as the result of a strange coincidence. About 30 of Jeff’s family and friends from Chicagoland had taken a bus tour of Fort Worth, and were late returning, so I had to “stall for time” in my role as Master of Ceremonies. Jeff had a Chicago Bears groom’s cake, and half the guests were fans of “Da Bears,” so…I asked that every time they heard the word “Chicago,” everyone there – even the staff – should yell, “DA BEARS!” And they all did. I love a happy bride! Lots of laughter at that celebration, and Kristen captured all the memories. That is what a great photographer does. And it seems she has good taste in Wedding MC Entertainment, as well!